Buying a car means figuring out a way to pay for it. While simply writing a check for the whole amount up front seems like the best option, it is not a viable option for most people. When you buy a car, you will probably need to finance it. We can help you through the process. Once you know that you are likely to be approved for a loan, decide how much you can afford to pay each month. Take into account all your other bills, and do not consider your emergency fund as an option for paying your car loan. Knowing how much you can afford will likely save you a lot of time and frustration when you visit us at the dealership. 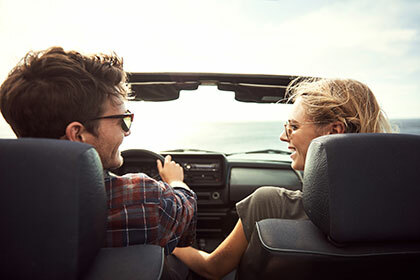 Car loans are typically offered in 12-month increments, starting as low as a 2-year loan and sometimes going up to as many as 7 or 8 years. The loan term you choose should depend on how much of a monthly payment you can reasonably make. To save on interest, it is a good idea to opt for the shortest term that allows payments that fit your budget. Once you have negotiated the best terms for your loan, make consistent payments. Regular payments help you maintain good credit. If you are occasionally able to make larger payments than you have financed, it can save you money on interest and get your loan paid off faster. Once you have decided to buy a car, you need a way to pay for it. We can help you find the financing option that works best for you.